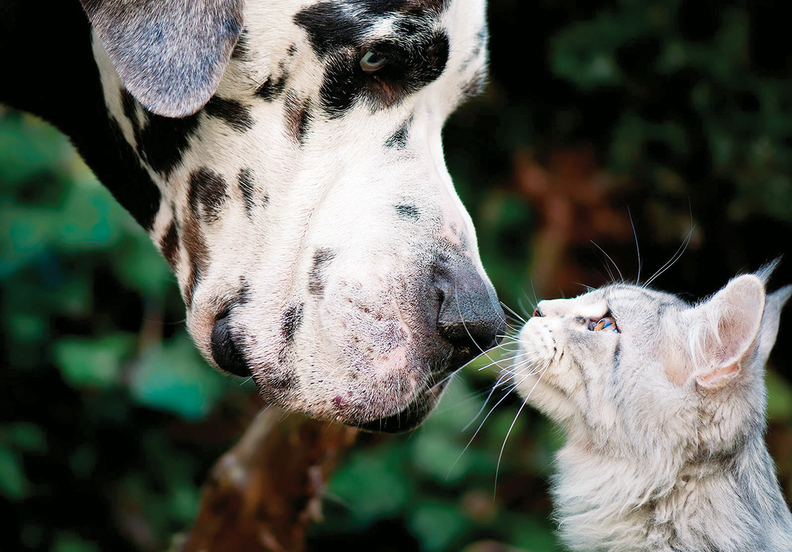 In the age-old battle of cats vs. dogs, are our feline friends getting the short end of the leash from researchers? A recent piece in the New York Times stuck a paw in the debate, talking to various researchers (both cat and dog lovers). Times science writer James Gorman searched a biomedical journal database, and found more than twice as many results for dog studies, with cats scoring 139,858 results. This despite evidence that studying cats could yield insights into lymphomas and polycystic kidney disease in humans, for starters. "The research has lagged behind in cats. I think they're taken less seriously than dogs, probably to do with societal biases. I have a vet in my group who thinks that many of the cancers in cats may actually be better models for human cancer, but there has been almost no research into them," Elinor Karlsson (who has three feline pets) of the University of Massachusetts told the New York Times. Research funding is also harder to come by for cats, said cat geneticist Leslie Lyons of the University of Missouri (team cat), who worked on a new reference cat genome. The wide range of dog sizes and shapes help attract scientists to study them, according to Elaine Ostrander, (team dog) at the National Institutes of Health. Dogs have more genetic diversity, with about 400 breeds and just 40 for cats. Humans' extensive breeding of dogs for certain characteristics and behaviors caused that array, of course, while the same can't be said of cats. But Lyons calls it possible. "We could have a Chihuahua cat and a Great Dane cat," Lyons told the Times, adding, "I think that would be a little dangerous."